There’s one constant in every machine shop – change. You can have the most detailed plans and processes in the world, but if you can’t facilitate change, you’re going to have difficulty being successful in the manufacturing world. Nowhere is the ability to adapt more important than in your scheduling process. If your shop is like many, your schedule may change on a weekly or even daily basis. A customer could suddenly need a part urgently and ask you to bump it up the schedule. You may be short on team members and have to reroute jobs to accommodate your staffing levels. Any number of changes on a daily basis could impact your ability to meet deadlines. Do you know where your jobs are? The most successful machine shops not only plan their schedule but also have the resources and capabilities to change on the fly. Do you have that capability? Or does a change to your schedule throw a wrench in your entire process? Do you have to search the floor for jobs and verbally give new instructions to each team member? Do you know where your jobs are? If change causes a problem in your schedule, then it might be time to look at your scheduling solution. Even with the introduction of robust scheduling software platforms over the past few years, many shops are still using notebooks, Excel spreadsheets, and even whiteboards. It’s tough to communicate changes when you’re relying on manual scheduling solutions. 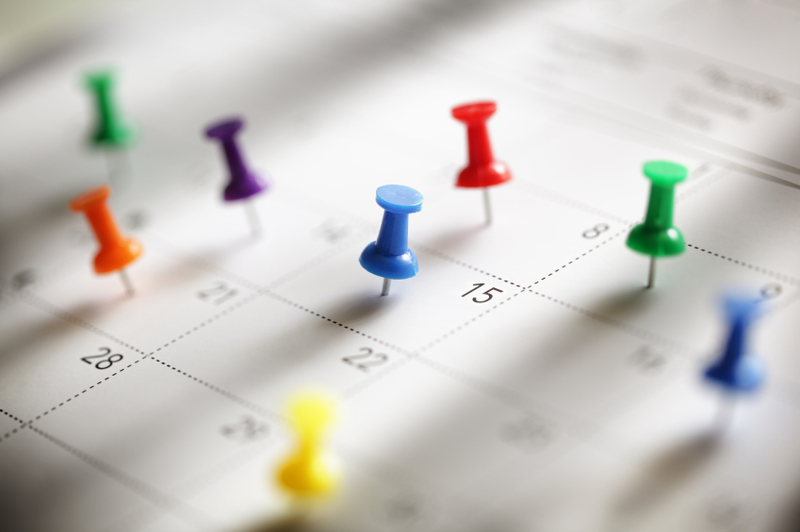 Below are three elements that are critical to an effective and agile scheduling solution. With these pieces in place, you should be able to make fast changes to your process, meet customer demands, and make all of your deadlines. Effective scheduling starts with data collection. That’s because scheduling requires a certain amount of assumption. You have to assume how long each job will take. If you don’t have data to back up those assumptions, then you’re really just guessing. Shoptech’s E2 software has a robust data collection module that allows you to see how much time each job takes. Every job has a bar-coded traveller. Your team members can scan that traveller to check jobs in and out of their station. The software records the time for you to review. You can then use that data to set future schedules. If you know that past jobs have spent X hours at a certain station, you know exactly how much time you need to clear to accommodate a rush order on that job in the future. Stop guessing. Use real data from your shop to make informed estimates and decisions. How much time is your team spending on setup? Too much? You’re not alone. Whenever we speak to potential new E2 users, they often mention their desire to reduce job setup time. One of the best ways to reduce setup time is to take a longer view of the schedule. When you’re setting up your schedule on a whiteboard or a spreadsheet, it’s often hard to look past the upcoming week. You may only have a few jobs at each station to choose from. However, with E2’s Scheduling module, you can look out weeks and even months at a time. You have a larger pool of upcoming jobs to choose from, allowing you to allocate more jobs per setup. Taking a long view can help you get more production out of each setup, reduce your setup time, and even get ahead of your deadlines. The human element will always be a major piece of your scheduling system, no matter how powerful and effective your software may be. A rapid and agile scheduling system is only effective if your team members get the proper instructions and implement them correctly. With E2’s scheduling software, you can use what-if scenarios to predict scheduling issues and even predict bottlenecks before they happen. You can then make changes to the schedule right in the software. Your team members who have access to the software will be alerted to the changes and can adjust their production appropriately. You can also arm your team members with the scheduling software right at their workstations. Shoptech recently introduced E2 mobile, which allows your team members to access scheduling, quality, data collection, and all of the other E2 modules from a mobile device. All they need is a tablet and a wifi connection to see the schedule in real-time. Want to learn more about how E2 can help you overcome your biggest scheduling challenges? Contact us today and speak with one of our consultants. We welcome an opportunity to help you enhance your scheduling capabilities and grow your business.